Canada’s premiere conference on the art and science of energy psychology. Type of Audience: Mental health practitioners. No background in EP required. 15 CE hours (plus additional hours for keynotes). You may register for EITHER the Main Conference or the Clinical Fast Track and still attend the morning keynotes and optional evening events. The Clinical Fast Track will provide mental health care providers with basic skills and concepts that will allow them to experiment with energy psychology protocols. Conference participants who would like to learn these skills for personal rather than professional use are also welcome. We are reaching out more actively than ever before to psychotherapists who are not particularly familiar with Energy Psychology. One of the enticements we are offering is a 15-hour Clinical Fast Track for mental health professionals who are new to the approach, introducing them to the skills and concepts required for using a basic protocol. The Clinical Fast Track allows mental health practitioners new to Energy Psychology – or those wishing a refresher – to learn enough techniques and concepts as to be able to experiment with a basic protocol in their own lives and eventually with their clients. It will involve 15 hours of intensive, hands-on training. The program will include small group practice where participants will alternate between the roles of practitioner and client. While not psychotherapy, these practice sessions could become emotionally intensive, so please assess your own readiness/willingness for such a possibility before deciding to participate. The training will be held during the hours of the main Conference breakout sessions, plus 4:30 to 6:00 p.m. on Friday and 4:00 to 6:00 on Saturday for an extra three hours and starting at 8:30am on Sunday morning. You will still be able to attend the Friday and Saturday morning keynotes as well as the Sunday closing keynote and all other Conference activities. Because each session builds on the previous sessions, if you miss a session, you generally will not be able to rejoin the group or receive the Certificate of Completion being offered. You can, however, instead begin attending the other Conference breakout sessions (space permitting). The Conference fee covers the cost of taking this special track. David Feinstein, Ph.D., is a clinical psychologist who has been a pioneer in developing innovative therapeutic approaches, leading to nine national awards for his books on consciousness and energy healing. He was the recipient of the U.S. Book News Best Psychology/Mental Health Book Award of 2007. He has served on the faculties of The Johns Hopkins University School of Medicine and Antioch College. Among his major works are The Promise of Energy Psychology (co-authored with his wife, Donna Eden, and Gary Craig), Personal Mythology, and Rituals for Living and Dying. His multi-media Energy Psychology Interactive was a recipient of the Outstanding Contribution Award from the Association for Comprehensive Energy Psychology. Beyond having written some of the most prominent journal articles establishing the efficacy of energy psychology for the professional community, David is a superb teacher. 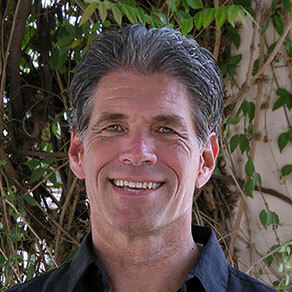 To learn more about his approach to Energy Psychology, visit www.EnergyPsychEd.com. Join David Feinstein for the theory section of the Fast Track program. Does Energy Psychology Rapidly Change Deep Emotional Learnings? If so, how does it do it?